Despite all of the snow and horribly wet weather we have still managed to have a very productive few months in 2018. We sold Lynwood Twenty Twelve in January to a lovely new home in Northampton and we wish him and his new owner the very best of luck this season. 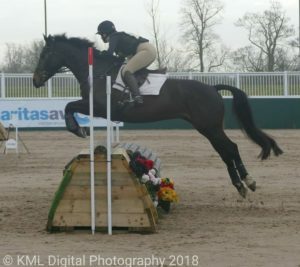 Congratulations to Beth O’dell and Lynwood Choreography who have qualified as part of the Rugby Riding Club team for the BRC National Winter Show Jumping Champs in April! Good Luck! The young event horses have been out and about training and learning their new craft ready for the season ahead. Sadly, their first event at Aston Le Walls was cancelled due to the snow but we look forward to being out at Offchurch Bury towards the end of March with Lynwood Fusion (pictured left) and Lynwood Freetime. 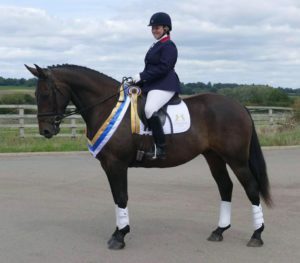 Lynwood Constitution (owned by Lynwood Stud), Lynwood Crofter (owned and ridden by Sue Bullock) and Vignoles Gambit (bred and owned by Anne Bain) competed at the British Dressage Regionals. Constitution Finished 7th in the Elementary Gold Music Freestyle class, Gambit finished 9th on 66.10% in the INTERMEDIATE 1 only his and Amy’s 4th time riding that test. A real highlight for the Stud was watching Lynwood Crofter and Sue Bullock become the Elementary Freestyle to Music Silver Winter REGIONAL CHAMPIONS- we wish them every luck for the National Championships at Hartpury. For those wondering about Lynwood Executive, Amy’s beautiful big Palomino dressage horse who we retired from competing at PSG level towards the end of last year, he is now on loan but still living at Amy’s yard in Dunchurch. He has a lovely new partnership developing with his new rider Clare Bedford. They adore each other and will be out competing soon at the lower levels to start with and will no doubt progress up the grades this year. 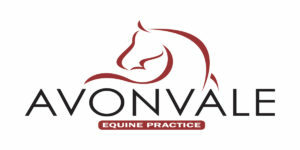 SPONSORSHIP: We are very happy to announce that for the second year Amy will be sponsored ambassador for AVONVALE EQUINE PRACTICE. They have been a great support to our Stud on both the breeding side of the business as well as with the competition horses for many years now and we are really appreciative of their continued support.